Jeff’s Radiator & Auto Parts proudly serves drivers and their vehicles, providing friendly service and a full scope of radiator repairs, including re-coring, flushing, repair and replacement. We’re also home to an extensive inventory of auto parts, priced affordably. We take pride in delivering a high standard of service and ensuring every customer interaction ends in satisfaction! Problems with a vehicle that’s overheating constantly? Radiator repairs can be hard to come by at a regular auto repair shop—they require expertise and the right equipment to service. At Jeff’s Radiator & Auto Parts, we’re more than just a place to get radiator service: we’re your local experts! From simple flushes and cleaning, to re-coring or radiator repairs in Wisconsin Rapids, WI, we provide the full range of services needed to restore this vital system to perfect working condition. Our friendly team will save you the frustration and high costs that can come with constant overheating and engine failure due to a bad radiator. 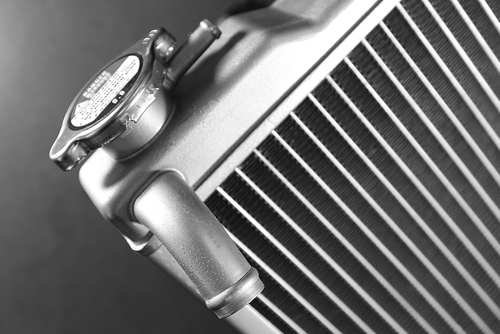 Alongside our expert radiator services, we’re also home to an extensive inventory of auto parts, priced affordably for you to take advantage of. Our auto parts store in Wisconsin Rapids, WI carries wheel bearings, fuel pumps, AC compressors, AC condensers, fuel tanks, fuel cylinders and much, much more—whatever your vehicle needs to run smoothly. We’ll be glad to help you find exactly what you need—just ask our knowledgeable staff! We make it a point to give every customer and every vehicle the unique, personalized attention they deserve. If you’re experiencing radiator issues, come to us first and we’ll make sure they’re fixed fast! Our shop has been servicing radiators since 1971! We’re proud to be a locally-owned and -operated business, serving friends and neighbors from throughout the area. We’re a second-generation, family business business taking pride in delivering exceptional service and satisfaction. We’re the only radiator shop in town! We want to make sure your vehicle is getting the complete and total service it deserves. Our selection of auto parts is extensive and affordable. We help you get the right parts for your vehicle, to keep it running in tip-top shape. Count on us for a satisfaction guarantee! We stand by our work and always make sure we’re providing superior service. From re-cores to flushes and everything in between, we’re the one and only radiator expert in town, proudly providing our customers and their vehicles with truly exceptional services!